Have you prayed today? Is prayer something we have to schedule? Does it have to be only in church? Do we pray only when issues of life arise? 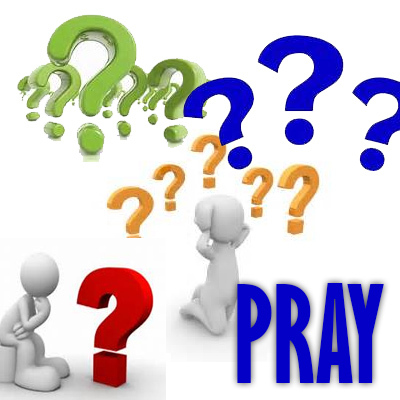 Is praying something for everyone or just for the Pastor...for those who are "leaders"? What if I don't have the right words? I can't pray like the Pastor does. When I have a need I call my friend, she knows how to pray. I'm sure words and questions like this have traveled though our mind at one point. The Creator of heaven made you & me, that's foundational. He was speaking with his creation from the very beginning. When the Lord Jesus walked on earth, He himself prayed to the Father. them as they cry out in repentance...Pray! Ok...here we go again. Two weeks ago I was told by a radiologist that I needed a biopsy. Well...I'm thinking...we went through this 6 months ago. I think I was more frustrated that I would have to go through the test...than what the test would actually show. So...I go for the test...and lo and behold the doctor says...well the tissue is benign...Hallelujah...but simultaneously he says...we are not sure if we actually got the right tissue. I say Hallelujah again....the One who sits on the Throne is worthy of all praise & worship! Ok...so what do I do. Honestly I was angry. Angry that I put myself through that evasive test......even though it was needed...but then to have no definitive results. Hmmm...did I say "definitive". The Word of God tells me that He made me......he knows how many hairs I have on my head......all the days ordained for me were written in his book. As I sat in the waiting room ( I was by myself because it was not a scheduled biopsy) the Lord ministered to me again, I am with you always, even until the end of time. I know I could have called my sister or one of the beautiful ladies of OCF...or have my husband come from a far distance to sit with me....but I was peaceful. I appreciate the "Medical field" , those men & women whom God has imparted His wisdom...doctors, technicians, medication...truly at times that's what God has used to allow me to walk and move.... literally. But the definitive, the ultimate, that which will allow me to continue to breath in this world....the appointed time for me or anyone to leave this earth...that goes to the One who sits on the Throne...All Authority is His. I rest in that....I will move forward with His Wisdom and go through the "due dilegence" the testing if you will.... and then I will live as if today is my last day....tomorrow is not promised...to me or to anyone. Rejoice in today! my son Mike who relocated to Savannah. times it feels like we are standing still. the reality of life fades away and I am lifted up from what's below to what's above. It's not that I have forgotten my life below, but its a different perspective. I love my life...I love what God is doing with this clay. God has given us life and wants us to enjoy it; I love all that the Lord is teaching me, the constant dependency on Him....really...I can't do a thing without God...not even breath.